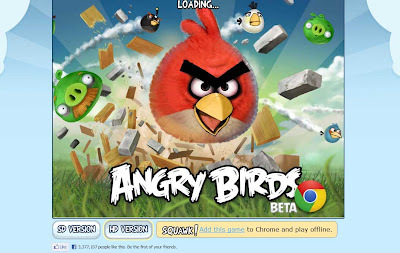 I don't think I have to explain what Angry Birds is all about, as this is one of the most popular games there is today. It is originally an app for mobile phones and tablets so you can have a play anywhere you go. My son and I got caught up in the frenzy as well when I downloaded the app on my Andoid phone. But I got stuck on a level and that was the end of that. I was having a look around for Chrome apps and was surprised to find Angry Birds as a game that you can now play on your PC! You can either play it online (no need to download anything! ), or download it for offline gaming. My son and I had a play one weekend afternoon. Really nice to play it on a bigger screen this time around! But we got stuck again, so we're back to the Wii.